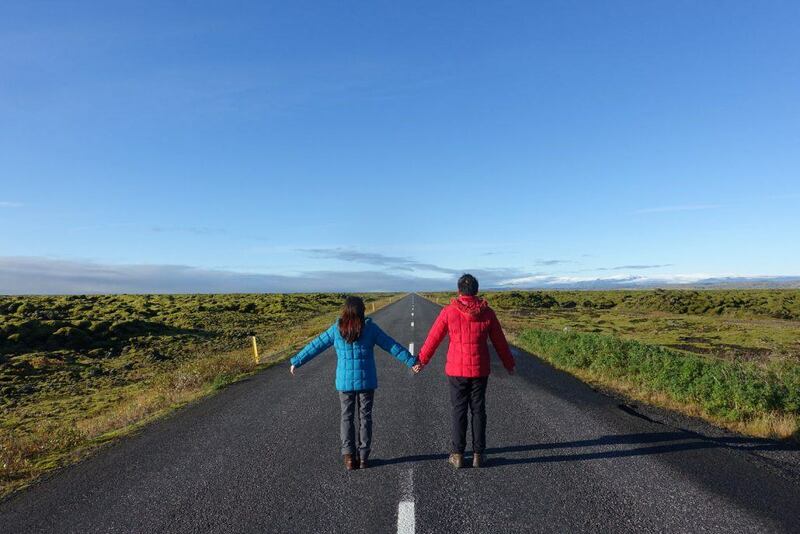 After our trip at Golden Circle, we proceed with our further exploration in the southern Iceland. We are again greeted with rainbows. 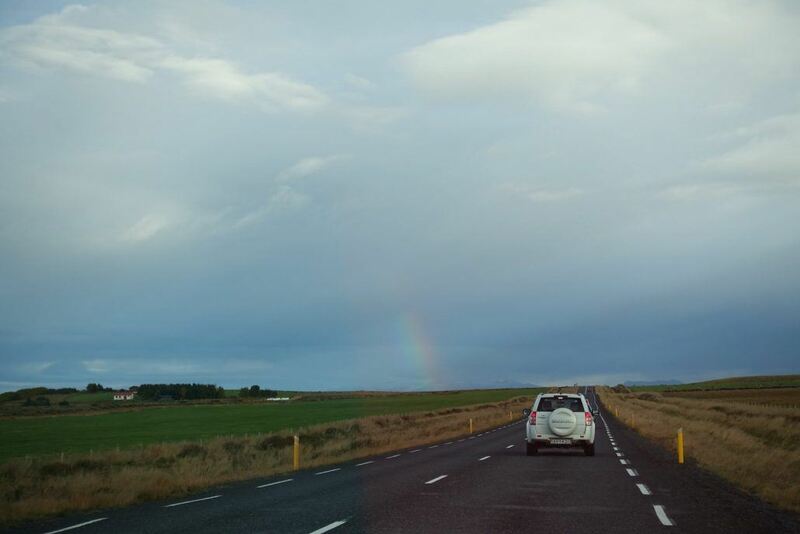 As the weather in Iceland changes frequently, rainbows are actually a common sight but too bad, no pot of gold for me! LOL, sad face! We headed to this waterfall which is very prominent from afar, confirm plus chop won’t miss it one! After parking our car, we walk along the path with huge green field on the side. The special part of this waterfall is that you can walk behind it and have a different perspective of the spectacular view. As we are not fully equipped against the water splashing, we did not walk in. I strongly recommend to bring ponchos and gopro if you are planning to go to this waterfall! 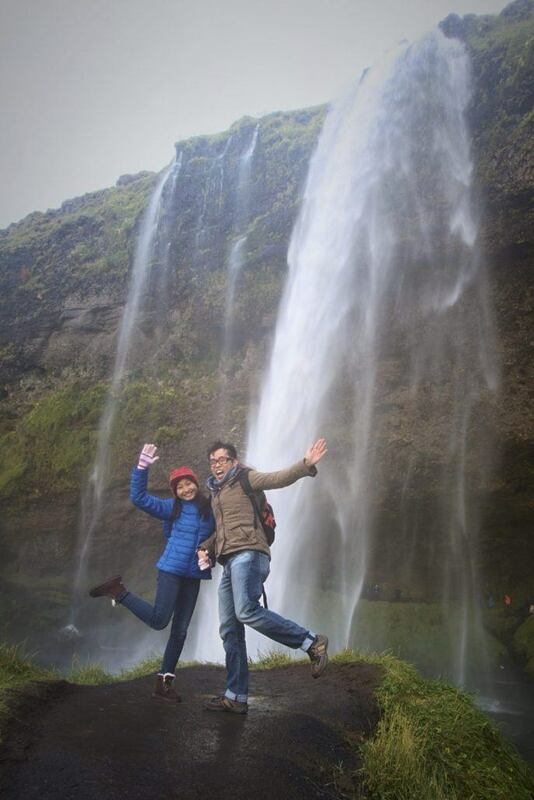 If you have time, you can also check out Gljúfrabúi, not far away from Seljalandsfoss, which is kind of a secret waterfall to the locals. However, we decided not to go there because of our next destination. Iceland is a land of waterfalls. For us, waterfall is a rare sight, so we seek out lots of waterfall until we almost overdosed at the end of the entire trip! LOL! 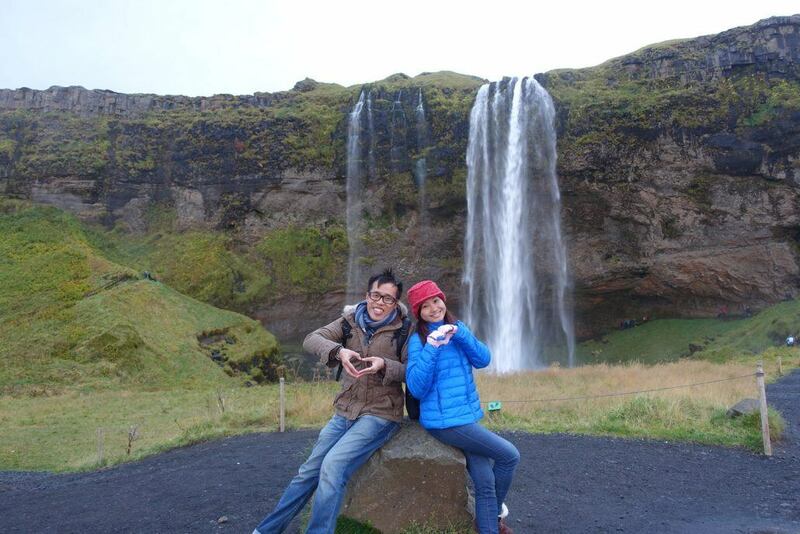 For this waterfall, the water volume is huge! 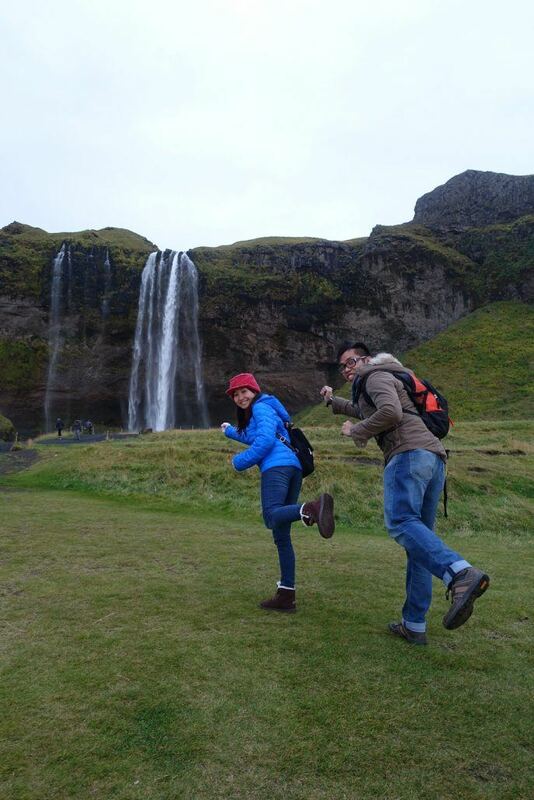 You can hear the water splashing sound from afar, and unlike Seljalandsfoss, the path is all rocky. 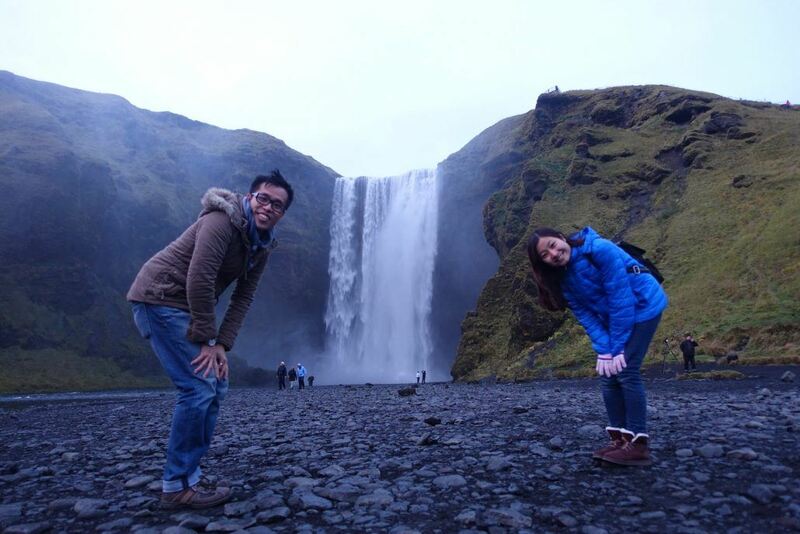 You can choose to climb up the stairs and check out the top view of Skógafoss. As usual, the slackers us did not climb up to conserve energy! Haahahah LOL! If you love camping, this is the perfect spot to pitch your tent with stunning surrounding landscape and nice waterfall sound as your sleeping lullaby. This is one of the epic attractions that we decided to drop out due to time constraint. Since early 2016, tourists are not allowed to drive to this spot and you have to walk around 4km across the black sandy path. Over there, you can take lots photo and pose with the iconic plane wreckage left due to a forced landing of an United States Navy Douglas Super DC-3 airplane. Google it yeah! 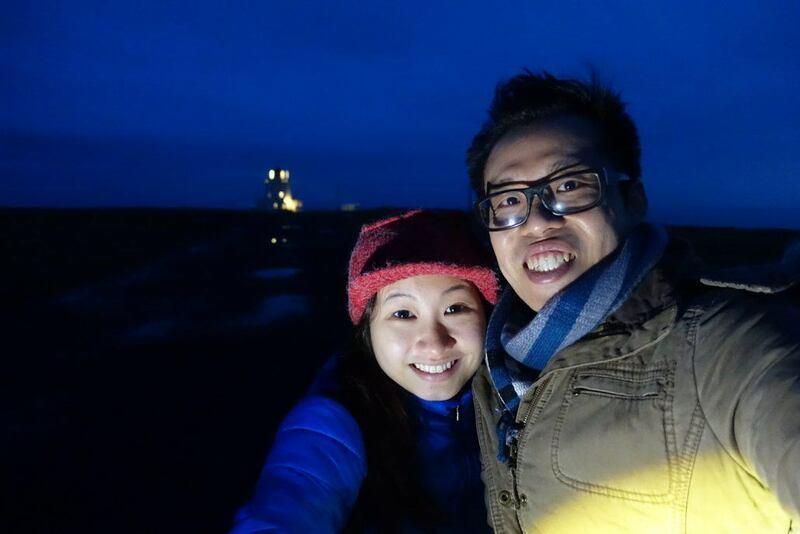 By the time we reached Dyrhólaey lighthouse, the sun has already set. As I am a newbie driver, this place is an adventurous ride for us. To get there, we drive along a two-way road with sea by the side. If I am not careful, we might drop into the sea! LOL! Next, the driving become even more challenging, I have to drive up a zig-zagged steep gravel road. 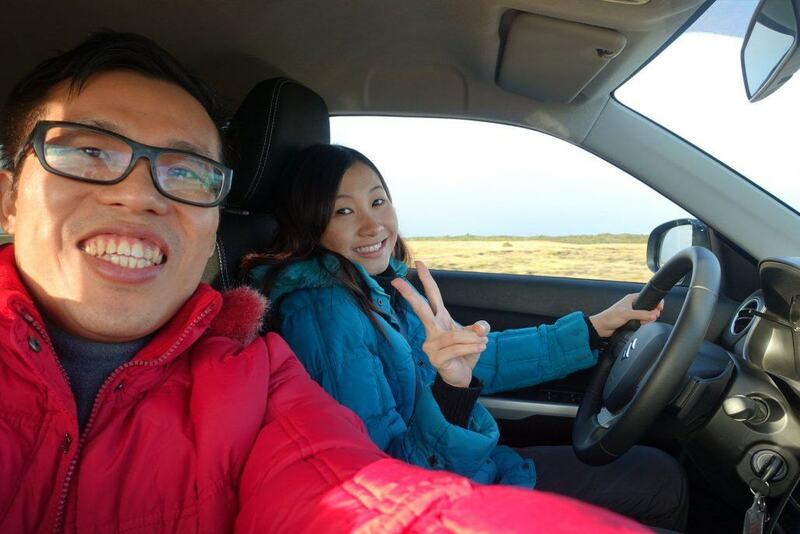 Throughout the upward ride, Candyce keep tapping on the dashboard to signal danger of car falling off the cliff! LOL, my driving skill level up sia after this! 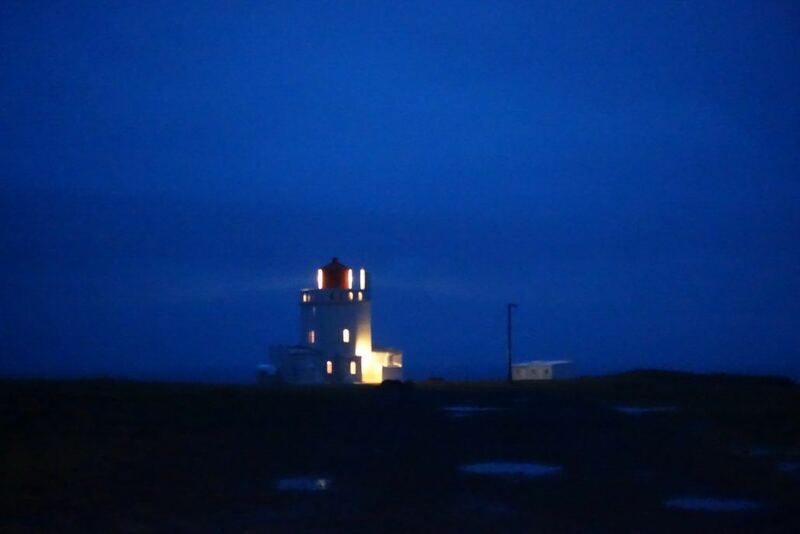 As it is getting darker and raindrops started to fall, we decided to stop advancing towards the lighthouse and evacuated. Plus I scared got eerie stuff lah! haha! 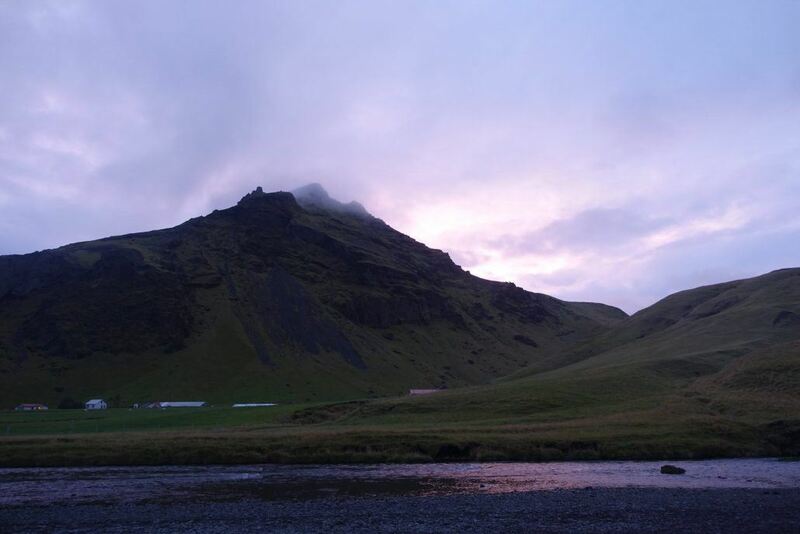 We then headed to Vík where we spend a night there. We woke up early to continue our trip towards east along ‘Ring Road’ (Route 1). 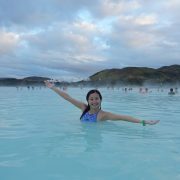 This time, Candyce took on the wheel to ensure we can reach Skaftafell National Park on time for our glacier hiking tour. 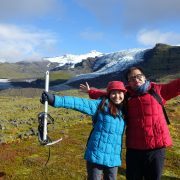 Along the way to Skaftafell, we passed by Eldhraun lava field which was created by one of the most devastating eruptions in historic times, the Lakagígar eruption from 1783 to 1784. 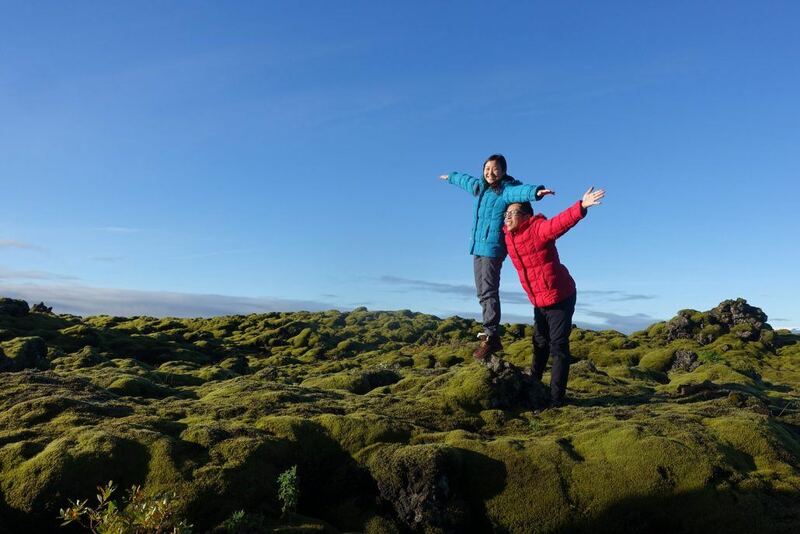 Over years and decades on this huge lava field, green moss started to grow, turning the whole field into lush green and this place is definitely an excellent photography spot. Do remember to do different poses including weird pose below. 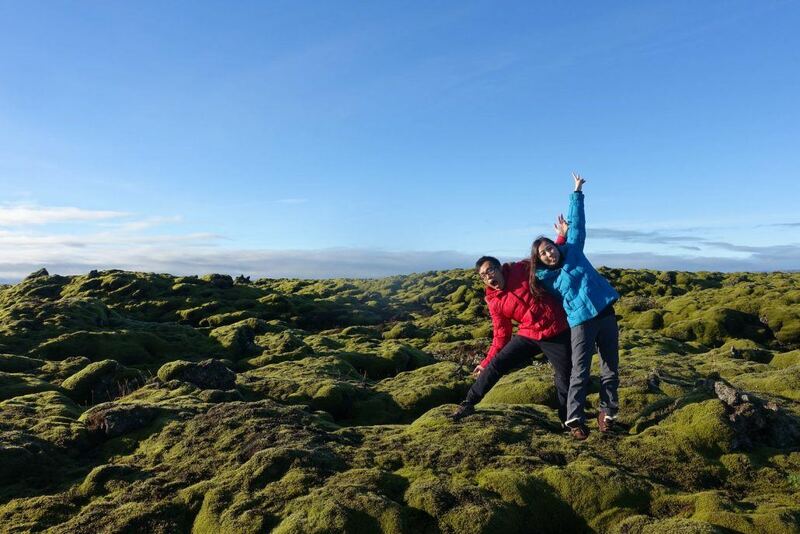 As these green moss are very fragile, please take light steps when walking on them in order to preserve this ecosystem. Else sooner or later, the authorities are going to do something like what they did to the path towards the DC plane wreckage. 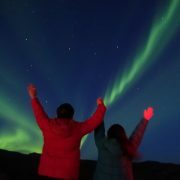 Southern Iceland, including the Golden Circle, have lots of attractions to visit. Therefore, I strongly recommend to spend 2 days in this area instead of 1 day which we did. 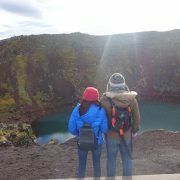 More info coming up when we revisited southern Iceland again near the end of our epic honeymoon ring road trip! 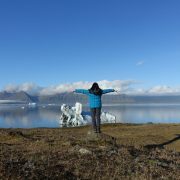 For now, check out our next post where we proceed west along route 1 ring road for our glacier hiking tour.